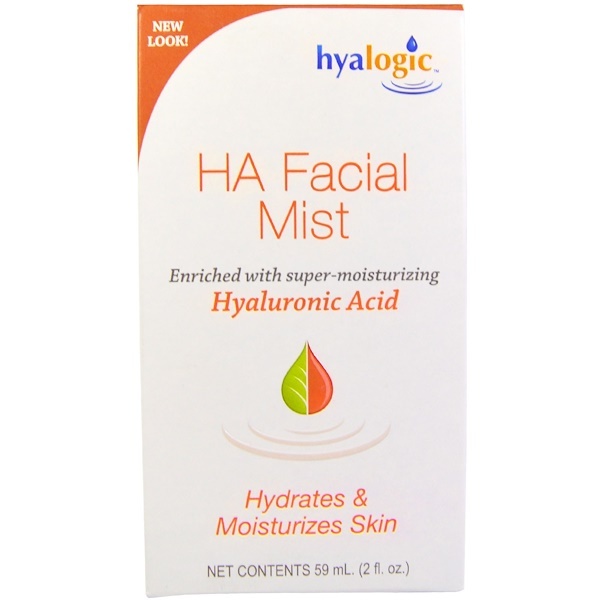 Why choose HA facial mist facial spray? 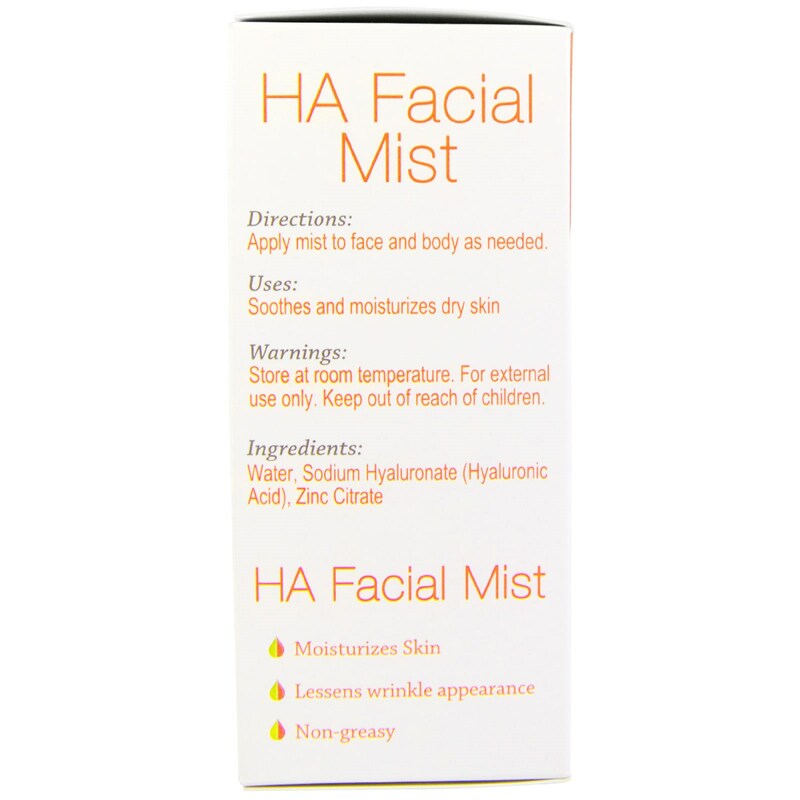 Give your skin a renewed youthful glow with HA Facial Mist. This light spray with Hyaluronic Acid refreshes and lightly moisturizes the skin without clogging pores or leaving an oily residue. Hyaluronic Acid (HA) is the most important element of the skin known for its ability to bind up to 1,000 times its weight in water. The body's HA production naturally decreases with age, leaving the skin dry and wrinkled. Replenishing the body's natural HA allows the skin to retain moisture and provides volume, form, and lift, HA Facial Mist nourishes and hydrates for softer, smoother, younger looking skin. Uses: Soothes and moisturizes dry skin.